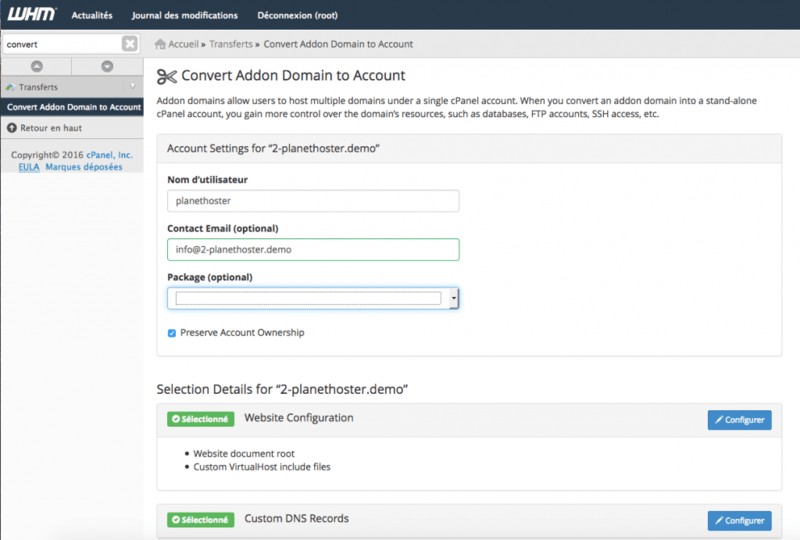 CPanel & WHM Tip: Did you know? This information is intended to VPS plan holders, Reseller or HybridCloud. 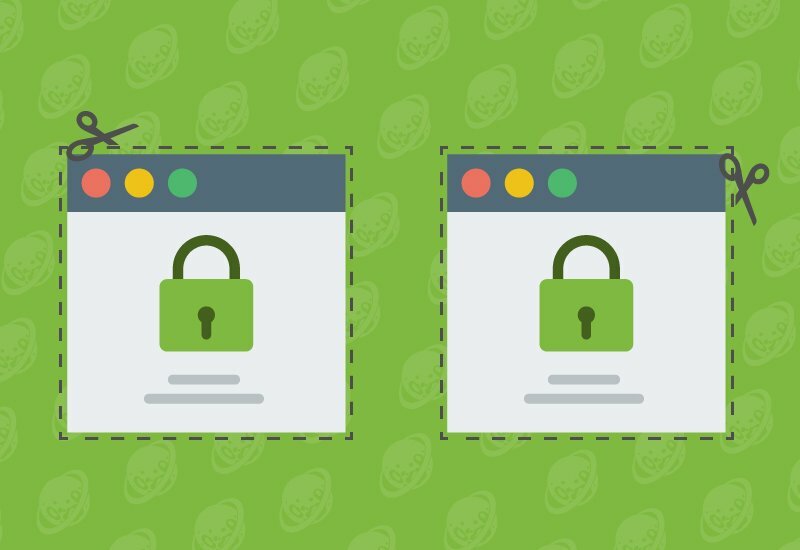 Best user management for you and your customers, consider the case of a client who wants himself create these mailboxes; Now it will be possible to give limited cPanel access so that he can manage these boxes without seeing the other clients you host! Each cPanel account with its own password and user operating on its own, it increases very significantly, the general server security. For information, if you are logged in as “root” in the WHM, you have access to all cPanel accounts without needing the password for the account cPanel. Best views on resources; when you put everyone on the same account, it is difficult to see who consumes what, whether in disk space: files, database, email or at the CPU, memory or process MySQL. 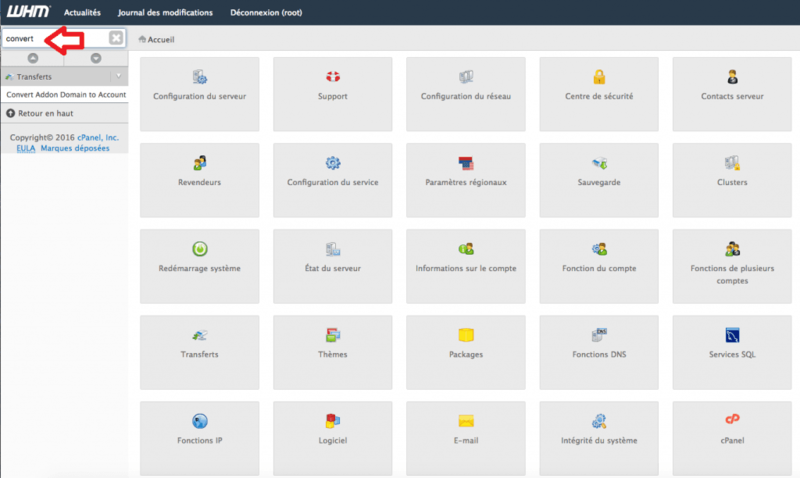 Therefore we present this new cPanel functionality which is available in your WHM since version #58. It is now possible with a few clicks to convert an additional field for the latter has its own cPanel account. The tool is called “Convert Addon to Account” and in seconds, you can make your CMS totally independently of each other to increase the overall security of your accommodation in addition to facilitating the performance analysis of each site based on resources consumed. Once you’re connected to WHM, choose the tool “Convert Addon Domain to Account” in the research sidebar. You will be presented the list of additional domains as well as the name of the user currently associated. You can use the search field at top of the list to reduce the number of displayed domains, or click on the navigation buttons along the bottom to scroll all the additional fields. Once you have located the area you want to extract, click the “Convert” button.